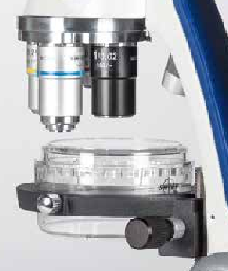 THE SWIFT3H HYBRIDS FROM MOTIC PROVIDES A BROAD RANGE OF POSSIBILITIES, MAKING IT ONE-OF-A-KIND. 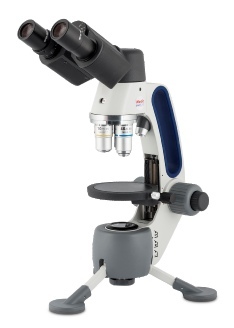 Although part of Motic’s new SWIFT educational range the 3H series lends itself to field work applications in many disciplines beyond education in University, Industrial and Life Science. 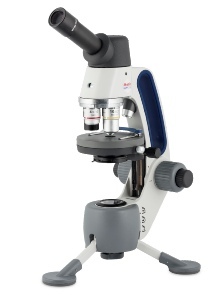 The SWIFT3H Series consists of versatile hybrid microscopes that combine two microscopes in one, making it one of a kind! By using the compound objectives (4X, 10X, and 40X) you can view microscopic specimens, and by using the 1X macro objective you can observe macroscopic specimens. This is done effortlessly by simply choosing the appropriate objective, adjusting the stage’s position and selecting incident illumination (life specimen cup is also provided as an additional option). The tripod base can be dismounted either to attach it on a standard camera tripod, or to take it with you on a field trip. It is cordless,using energy-efficient, rechargeable LED illumination, made of metal and compact so it is ideal for both classroom and field work applications of most kinds.